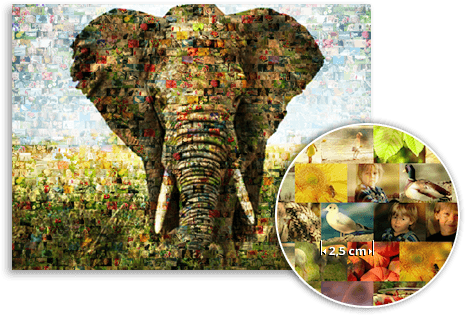 Photo mosaic on Alu-Dibond - now with FREE delivery! What is a photo mosaic on alu-dibond? 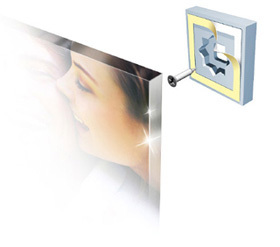 An alu-dibond photo mosaic is made out of a composite aluminum and polyethylene panel. The polyethylene core is surrounded by two 0.3 mm aluminium plates. The photo mosaic is printed on one of the aluminium plates. All together, the alu-dibond plate is 3 mm thick and weighs 3.8 kg per square meter. Similarly to acrylic glass, with alu-dibond photo mosaics the motif is directly printed onto the plate. Due to direct printing, there is a very good colour reproduction. The composite plate is very robust and the print lasts for a long time. 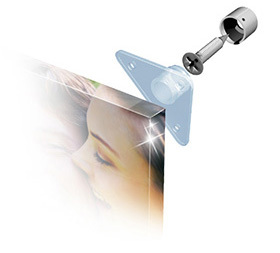 For those reasons alu-dibond is perfect for printing photo mosaic metal prints. Alu-dibond mosaic prints can be hung on the wall with 3 different mountings: Ghost, Couple, and Steel20. You can choose which one you would like during the ordering process. 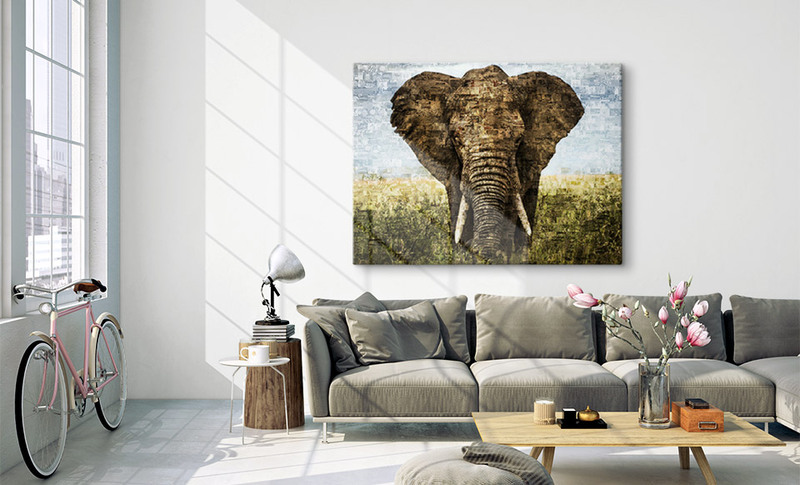 Ghost is especially suitable for small format mosaic metal prints up to 60 x 40 cm. Larger format photo mosaics on alu-dibond should be hung with the Couple or Steel20 mountings. 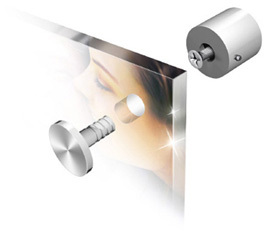 We recommend the Couple mounting, since it does not require drilling through the picture. That way, no details in your photo mosaic metal print will be lost. 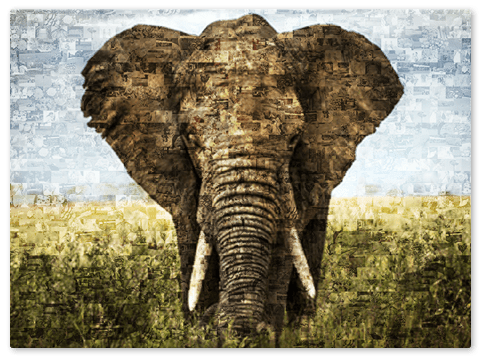 What finishes are available for mosaic metal prints? Tip: The alu-dibond finish in metallic is perfect for images with metallic elements. A bridge out of metal or really any architectural motifs look great when printed on a metallic surface. 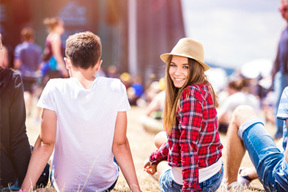 Select the main image for your photo mosaic – this will be the main motif of your photo mosaic. Then upload the small photos into the app. The more photos, the better. Then we will create for you a mosaic poster from the individual pictures within 24 hours. If you like your mosaic poster, select a product for your mosaic, e.g. alu-dibond. Now you can order your mosaic metal print. You can expect delivery in 1-3 days.